From 16 to 18 October 2018, Chillventa will once again turn Exhibition Centre Nuremberg the international meeting place for the refrigeration, AC, ventilation and heat pump community. The event kicks off on 15 October with the Chillventa CONGRESS, where experts from all over the world are able to get exactly the information they need on the latest trends and developments. Read more: overview Innovatation at Chillventa 2018. 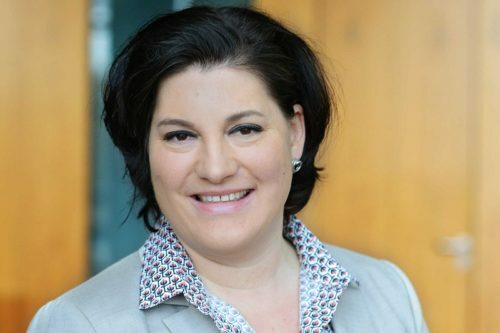 Daniela Heinkel, Chillventa Exhibition Director at NürnbergMesse, talks about how the exhibition has evolved and what innovations experts can look forward to seeing. Daniela Heinkel: “As I mentioned before, Chillventa in Nuremberg is a highly international event. And we want to live up to this claim on a worldwide basis. The international refrigeration, air conditioning, ventilation and heat pumps portfolio is unrivalled and has exhibited a very positive development over the years. NürnbergMesse has built up an impressive worldwide network in recent years comprising the leading exhibition Chillventa and the European Heat Pump Summit in Nuremberg, ACREX India, REFCOLD India and the European Pavilion powered by Chillventa at China Refrigeration. Experts from around the world can look forward to the international refrigeration, air conditioning, ventilation and heat pumps network that we will continue to expand, wherever it makes sense to do so. After all, our motto “Chillventa Connecting Experts” applies here as well. Daniela Heinkel: “With its extensive range of exhibits, Chillventa presents a cross-section of the industry with components, systems and applications for refrigeration, AC, ventilation and heat pumps. This year, the trade fair and CONGRESS will focus on topics like the Internet of Things (IoT), the IT security of refrigeration systems, implementation of the Regulation on Evaporative Cooling, Cooling Towers and Wet Separators (42nd BlmSchV), current climate targets, eco-design, reclamation and treatment of refrigerants, efficiency through controls, innovation in heat transfer, air conditioning of data centres, heat recovery and system solutions for hot water. Daniela Heinkel: “This year too we have plenty in store for our visitors in terms of knowledge transfer and professional dialogue. On Monday 15 October 2018, the day before Chillventa, the Chillventa CONGRESS will provide experts with comprehensive insights into the latest industry topics. Internationally renowned speakers will provide knowledge from research, development and practice as well as information on the current political framework in Europe and worldwide. Climate Control at Data Centres (in German).